What’s your favorite Christmas cookie? I grew up baking cut out Christmas cookies with my mother and grandmother. We call them Sand Tarts. They’re like a sugar cookie, but they are very crisp. I love them. I’ve started my own tradition with my daughters. We make gingerbread men every year. 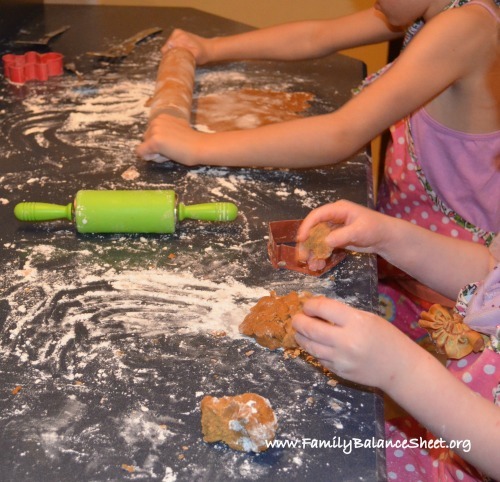 My girls love making them–maybe because of the mess–LOL. While I love to bake, baking many different kinds of Christmas cookies is just too overwhelming for me and my schedule. But several years ago, I was invited to my first cookie swap at my moms group and it turns out, I don’t need to bake so many different types of cookies. I came home with 6 different varieties of cookies. I froze most of the cookies and then took them to my extended family’s Christmas party. It was perfect. A cookie swap is a fun way to celebrate the holidays with your friends and family AND you can cross baking off of your holiday to-do list. 1. Invite your friends and/or family over for hot chocolate or coffee. One dozen cookies for each of the participants to take home. As the host, you will let everyone know how many packages to prepare. If a dozen is too much, make it a half-dozen. Have the participants bring the cookies already packaged in bags or containers. Additional cookies or another treat to share during the party. A basket or large bag to take home their new cookies. 3. As the host, you’ll want to coordinate what type of cookie everyone is bringing, so there are not many duplicates. 5. At swap time, have the participant’s place their baskets or bags around a table. Then each participant should place their packaged cookies in the other participants baskets. Really it is that easy and everyone goes home with homemade cookies….and a full belly from the cookies they’ve munched on at the party. What’s your favorite holiday cookie? 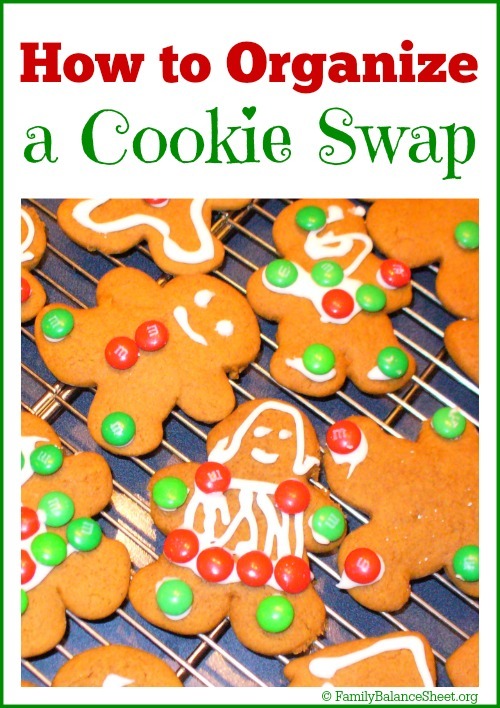 Have you ever hosted or attended a cookie swap? Let us know in the comments. Thanks, Cathy, for stopping by and taking the time to comment. I will definitely stop by and check out your cookie countdown. I love cookie swaps! Thanks for sharing your tips on how to organize one. Stopping by from thrifty Thursday. Thanks, Nicole, for stopping by and taking the time to comment.